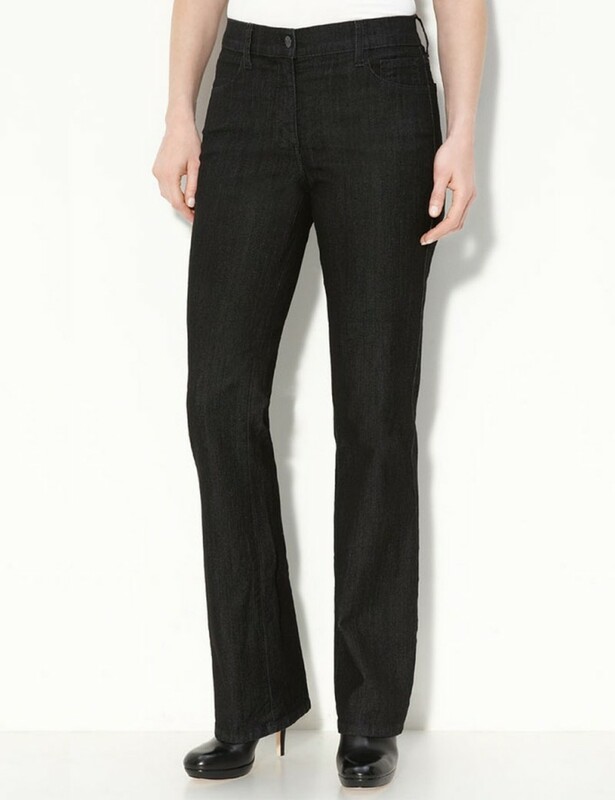 NYDJ Barbara stylish black resin wash modern bootcut jeans in light-weight denim that caresses your curves and lifts your spirits. Five-pocket styling, button-closure with tonal stitching and floral back pocket design. Product Details - The Barbara Modern Bootcut Jean in Premium Lightweight Denim.